This ranch seasoning blend is designed to help you replace the ranch packets, while still saving time. I love the zesty ranch flavor on my food, but I don’t want to pull out fifteen seasonings everytime I go to make a quick dinner. I keep this ranch seasoning blend on hand to help season foods, or replace the ranch packet in recipes. It helps you eat clean and save money. Ranch Seasoning packets have always been something we have relied heavily upon. Those packets with their zesty tangy flavor are used in many of the southern dishes that are my family’s favorites. When I started trying to clean up our diet, and get away from processed foods. I realized that this was an important area to look. I used to love using seasoning packets to season my food. Those little packets are awesome time savers. However, they are full of “extra” ingredients that don’t serve a purpose. When I started cleaning up our diet, those were one of the first things to go. It eliminated a ton of mystery ingredients, and preservatives, and actually saves us money! Now, I have about 3 or 4 home-made seasoning blends I keep most of the time, and I use them to season a different variety of foods. You’ll find that many of my recipes on this website use one of these seasoning blends. If you keep them on hand, it can really save you a ton of time while cooking your dishes. Check out my other favorite blends here. It may seem at first that making these blends are expensive. If you have to buy a bunch of seasonings, they can really add up. Make sure to remember, how many uses you will get out of those seasonings, compared to the one-time use packets that cost about $2 each. 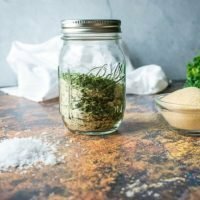 The ingredients for this ranch blend should cost less than half that per-use, and you will know exactly what you are getting. Besides that, you can customize this recipe to your own needs and preferences. I love using home-made blends because I love knowing and having control over what goes into our food, our recipes, and even more our bodies. If I made this seasoning blend, each time I cooked a meal, it would add several minutes to my cooking time each day. I don’t like the idea of spending more time in the kitchen anymore than you do. So, I batch them. About once a week, I’ll get out my mason jars and measuring spoons, and make a big batch of ranch seasoning for the coming week. I keep them in a mason jar to use as I need them. It’s important to keep them in a mason jar because they will provide the seal to keep moisture out. 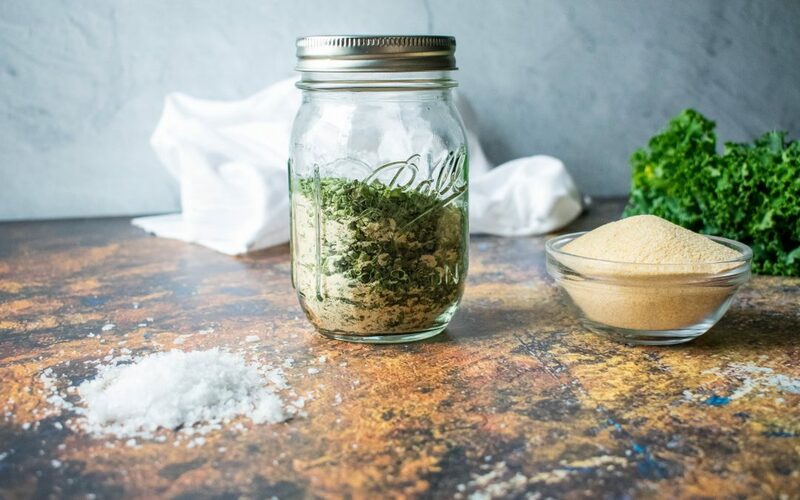 Use this seasoning blend as an all-natural alternative, in any recipe that calls for a ranch packet, or in any of my recipes that call for ranch seasoning blend like this awesome keto spinach dip. Make sure to sign up below for my emails, and get our free snack guide right away. 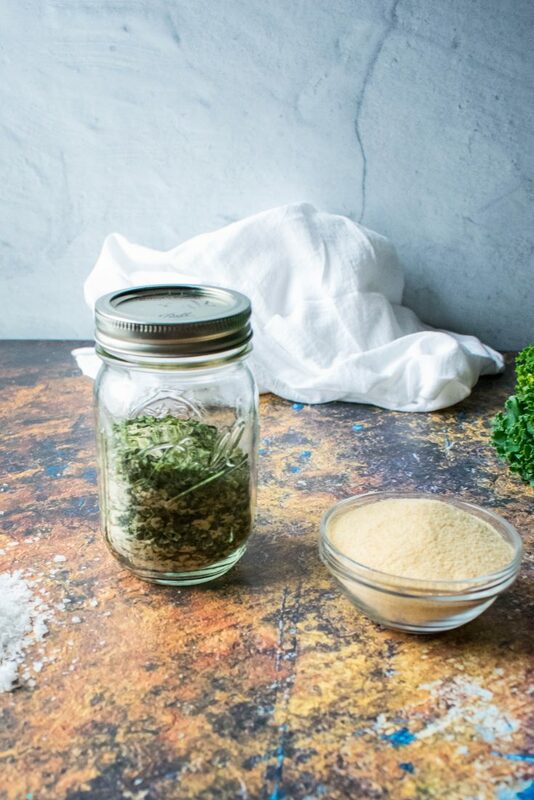 Use this all-natural ranch seasoning blend in any recipe that calls for a ranch packet. It will add a zesty ranch flavor to any food. Use 1 tablespoon of this seasoning to replace a ranch packet. Mix all ingredients together in a jar with a lid. Close lid and shake vigorously. Store and use as needed. *Nutrition facts vary be sure to calculate your own macros.